Attorney Richard J. Fuschino Jr. consults with his client, David "DJ" Creato, just before a hearing on motions Wednesday. A jury will be picked beginning next Tuesday and should last two days. The trial begins once a jury is seated, which means the case may begin with opening arguments next Thursday. The jury is expected to visit the scene where the body of his son, Brendan, was discovered. 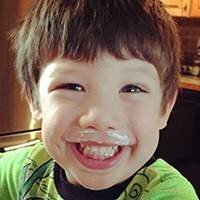 The judge in the Brendan Creato murder case has tentatively agreed to allow the jury to visit the place where the three-year-old's body was found. Kelley sided with veteran homicide prosecutor Christine Shah, saying a scene visit would underscore the "spatial issue" of how the toddler's body ended up in that location. Jury selection will begin next Tuesday, April 18. 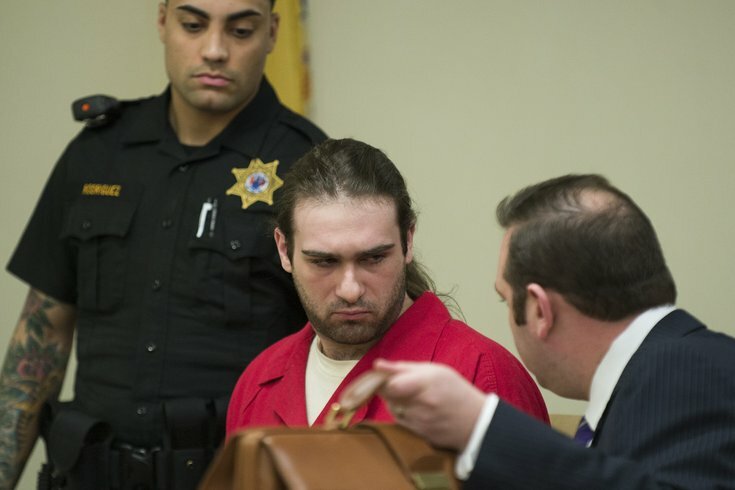 David "DJ" Creato is charged with murder in the October 2015 death of his son, allegedly to further his relationship with his then-17-year-old girlfriend who resented the child. The trial has been beset by repeated delays. Once underway, the trial may be one of the highest-profile murder cases in the Philadelphia area in years. Parents killing children – termed filicide – is statistically an extremely rare form of homicide. The boy’s lifeless body was discovered about 9 a.m on October 12, 2015, more than half a mile from the apartment they shared in the Westmont section of Haddon Township. About three hours earlier, Creato had called 9-1-1, suggesting his son may have opened the door of their second-floor apartment and wandered away. A community-wide search by volunteers and law enforcement ended when a police dog picked up the boy's scent and discovered the body draped across a rock in a creek which feeds into the Cooper River. The case is sensational, too, because of the salacious motive allegedly behind the killing: a 17-year-old girlfriend who was jealous of the time and attention Creato spent on his son. The pair, who met online just months before the homicide, had exchanged more than 9,000 messages. Prosecutors claim resentment of Brendan by then-girlfriend Julia “Julie” Stensky of Bucks County was evident in many of the exchanges. The prosecution claims Creato murdered his son to maintain his relationship with Stensky, who was attending out-of-state college and socializing, allegedly sparking his jealousy. There's also the circumstances around the discovery of Brendan Creato’s body. The boy, who was reportedly afraid of the dark, was found face down on a rock in a creek, his pajamas and diaper pulled down, clean white socks on his feet, his arms and legs dangling in the water. The prosecution has said there was no evidence of sexual molestation. A judge has tentatively agreed to allow the jury in the Brandan Creato murder case to visit the scene where the body was discovered on Oct. 13, 2015. 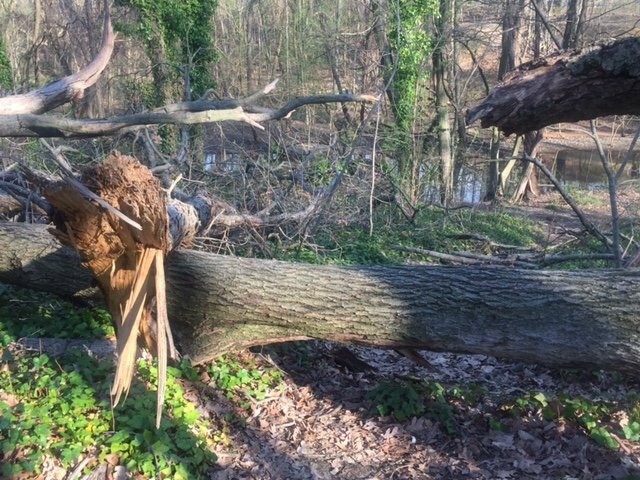 But first Camden County Public Works must clear this giant tree blocking one of two paths leading to a creek within Cooper River Park. The judge said he may reconsider if the logistics can't be resolved. The prosecution has indicated it intends to show just how far-fetched it is to believe that the boy wandered alone from his home at night, walked about half a mile to Cooper River Park, then walked down a slope, across a grassy field and down another embankment to the creek – all the while keeping his socks pristinely white. And while such a visit would be unique – scene visits are rarely sought and more rarely granted – it could potentially provide an avenue for Creato’s defense to question the competence of the forensic examination of evidence at the scene and the less-than-conclusive findings of the three autopsies which followed. While the defense is expected to explore how the scene was handled by law enforcement, Philadelphia lawyer Richard J. Fuschino Jr. has preliminarily focused on medical examiner Gerald “Buck” Feigin and his personnel. For instance, the child’s body was removed from the creek by a law enforcement officer, not by a death investigator answering to the medical examiner’s office. The investigator on the scene for the medical examiner’s office that day made only cursory notes in what is called a RIME, or report of investigation medical examiner. The RIME did not detail a close examination of the scene or of the boy’s body before it was transported to Gloucester County, where the child was formally pronounced dead. Soon after the pronouncement, the first autopsy of Brendan Creato was performed. That initial medical examination was conducted by Feigin, whose professional history includes mistakes made in two autopsies in Massachusetts, including the infamous Boston Nanny trial in 1997. A second autopsy by another medical examiner in Feigin’s office was also inconclusive. Feigin sat in during that examination by his employee. And, finally, a third autopsy performed the Friday after the body was found was also inconclusive. That autopsy was conducted by then-acting State Medical Examiner Andrew L. Falzon, who has since been confirmed in the position overseeing all medical examiners in New Jersey. Falzon, in what reads like a cautionary rebuke, said in a follow-up report that a correct autopsy diagnosis can only be made when correlated with details observed at a scene. The next day, Saturday, four days after Brendan Creato’s body was discovered, Feigin himself visited the Cooper River Park scene for the first time. The delay in naming a cause of death caused anxiety in the community. And yet it would still take into December 2015 for Feigin to conclude that the death was “homicide by unknown etiology,” an imprecise catch-all term. DJ Creato was finally indicted, arrested and charged in January 2016. He's remained in jail since, having turned down a 30-year plea offer. With no apparent eyewitnesses or DNA evidence in the circumstantial case, Feigin’s findings look to be a central issue of the trial on a first-degree murder charge and a second-degree endangering the welfare of a child charge.